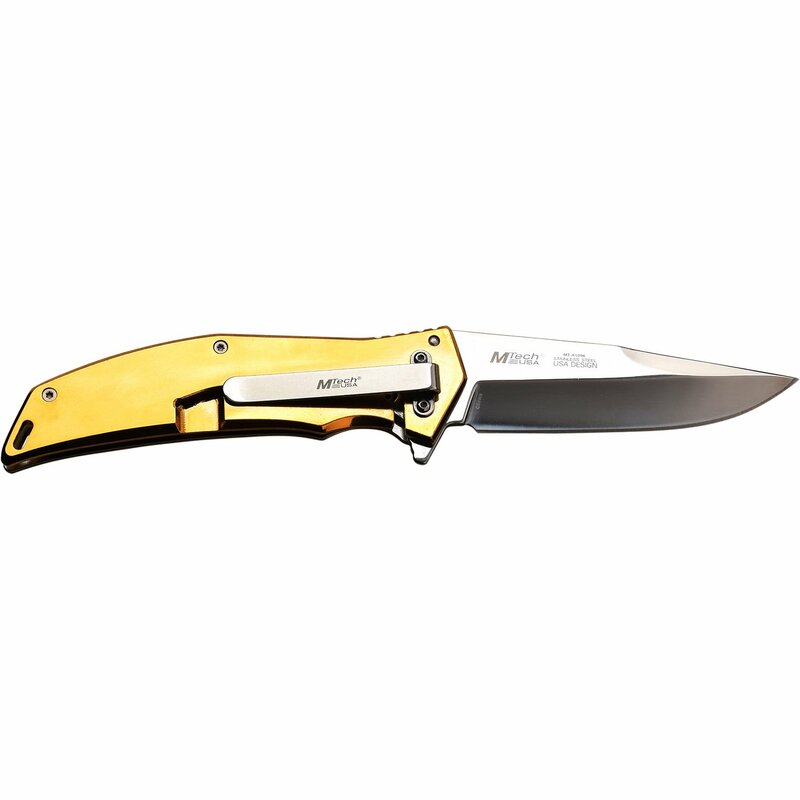 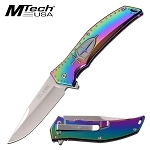 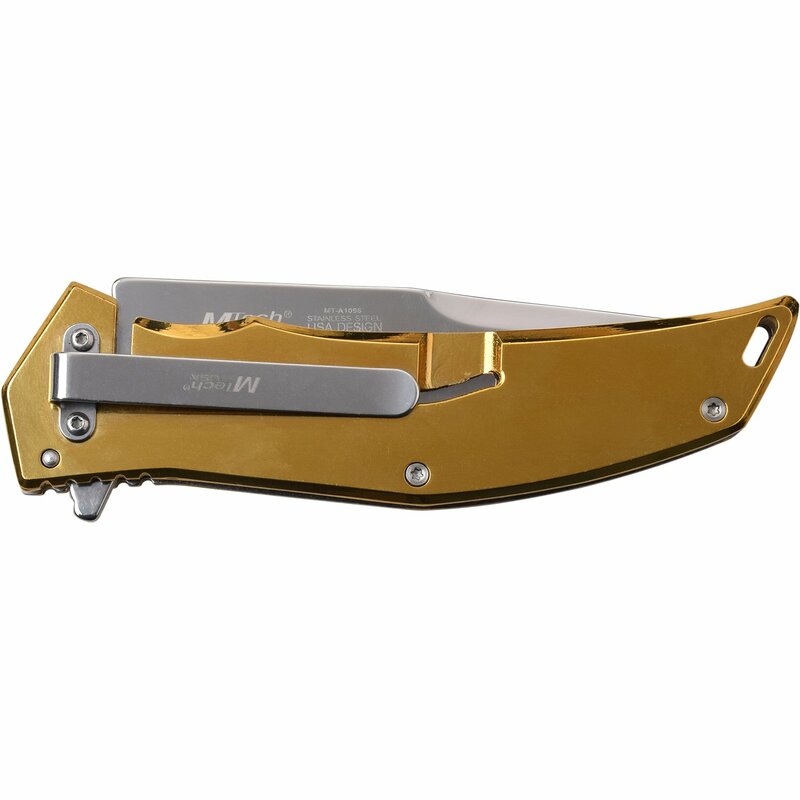 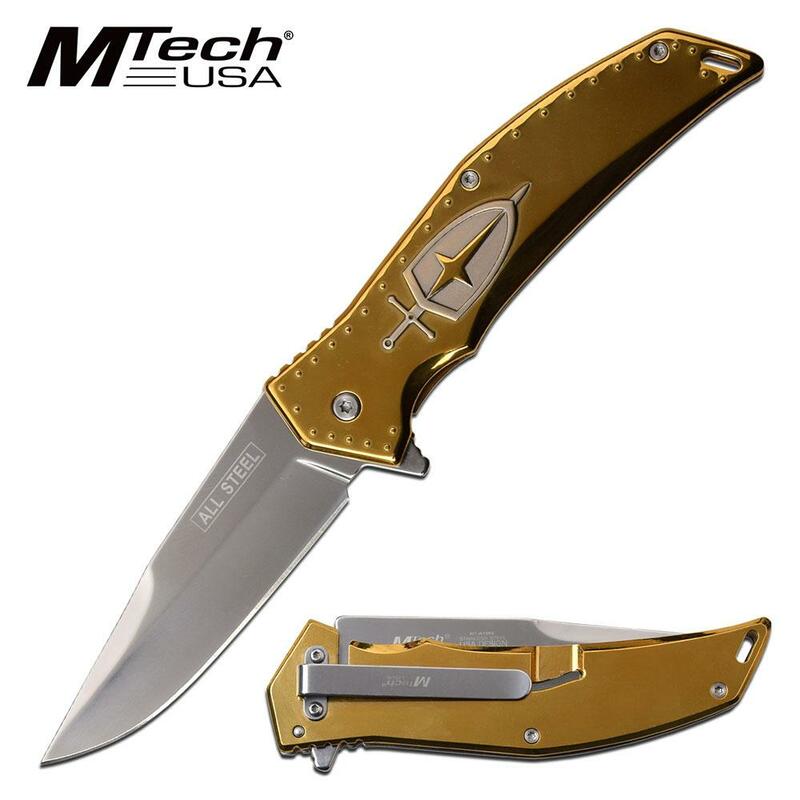 Mtech assisted opening pocket knife in cool knife design in bronze knife color. 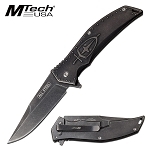 Mtech knives are the best spring assisted opening pocket knives. 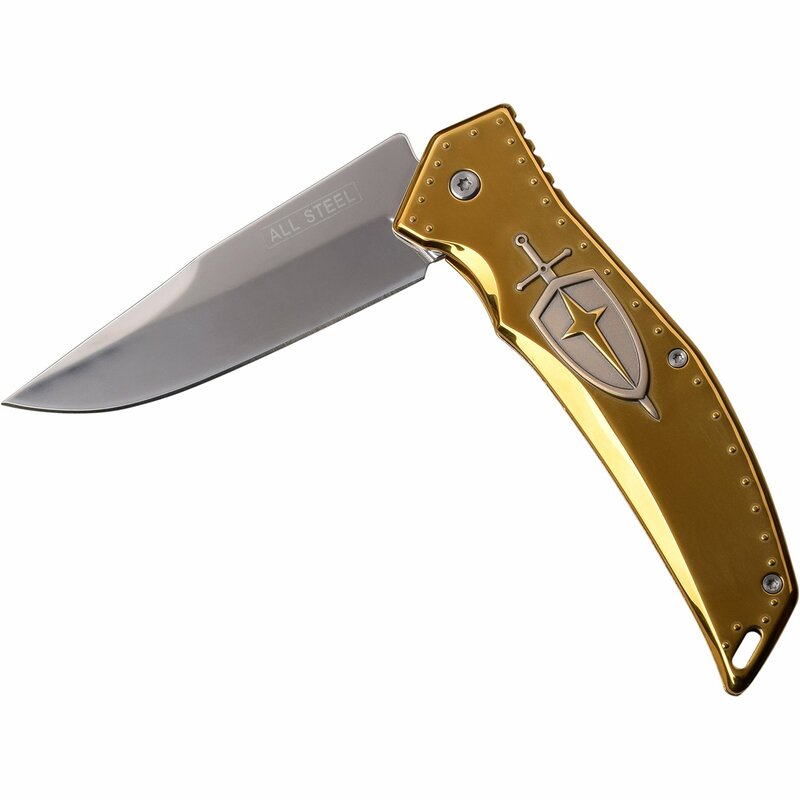 This cool knife with sword and shield design on handle is 8.75 inch open length. 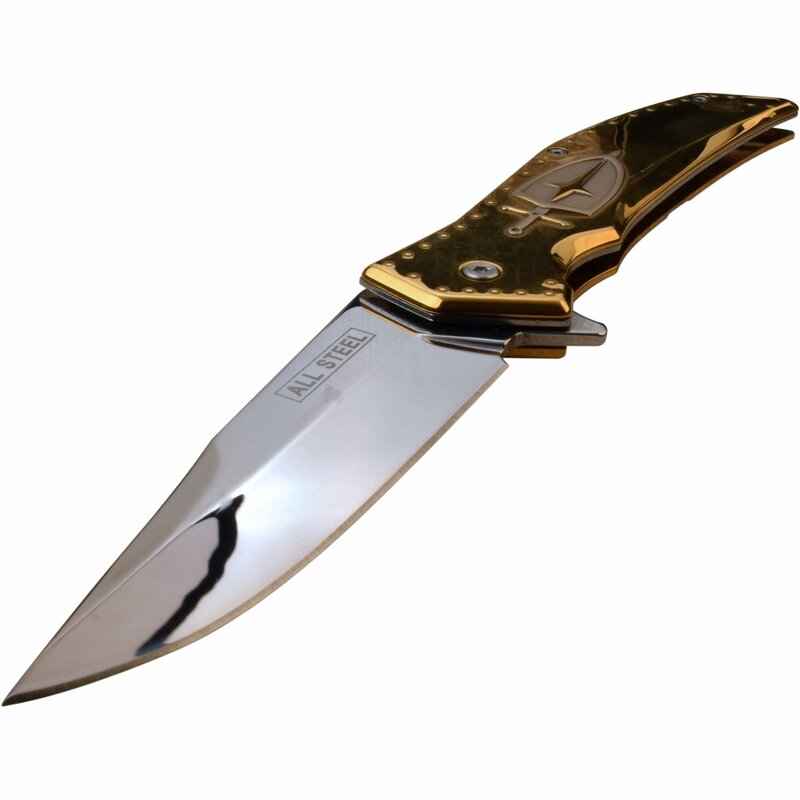 The blade is polished full steel blade with a length of 3.75 inch and 5 inch stainless steel handle.